I totally get why women smoke. My mother smoked. My daughter smoked. Close friends smoked. My mom started smoking as a young woman, before the health risks were known. Fortunately, most of the women who are near and dear to me have either switched to vaping or quit altogether. My mom quit cold turkey after smoking for over 30 years. My daughter Emma quit smoking after a month-long transition using the e-cigarette starter kit I gave her. Close friends like my friend Lisa are now vaping instead of smoking, and she even turned her dad’s wife, a long-term smoker, onto vaping our beautiful black e-cigarette! 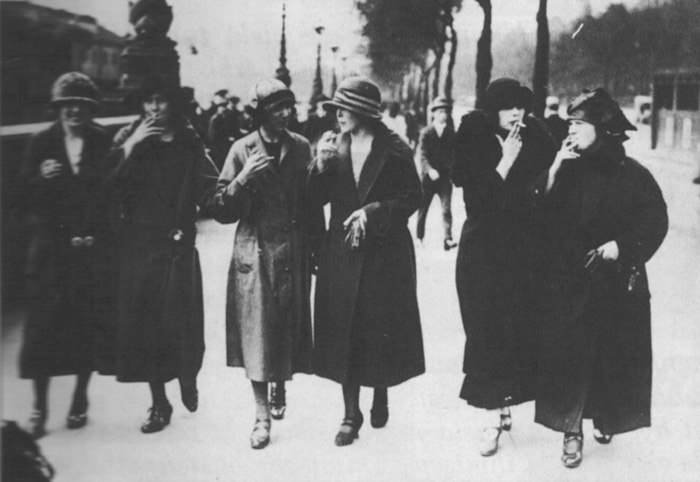 Many women start smoking as teenagers – perhaps as a form of rebellion, to be cool, or to bond with their friends. 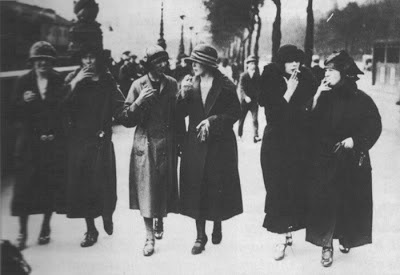 Later on, women will often smoke when drinking. “Social smoking” is aptly named, because it IS a social experience, something that binds us women together. When we drink or smoke (or both) with our women friends, we feel we can share our deep, dark secrets, knowing we will be understood and supported. As we huddle together, we feel protected from the rest of the world. I totally get it. I went to an all-girls boarding school (Emma Willard School, Troy, N.Y.) and being accepted by the “in” crowd was an important part of my life on campus. Fortunately, I was able to be "cool" without smoking, mostly because I had the best collection of rock records: Jimi Hendrix, CSNY, the Rolling Stones, Jefferson Airplane, the Beatles, and so on. Research has found that women also light up alone, as a way of dealing with stress. 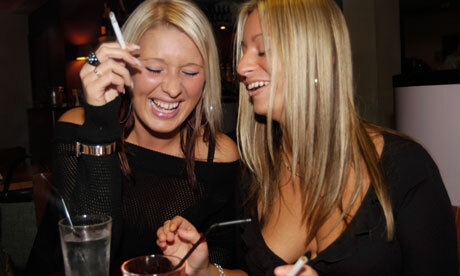 A survey of 1,000 people commissioned by an Edinburgh company found that women were more likely than men to smoke alone. This finding suggests that women attach some shame to their smoking habit – perhaps because they know it is becoming less socially acceptable. One-third of women smokers said they smoked when they were stressed out, and they smoked even more when they felt under greater stress. Having a cigarette may feel like a reward and a way to deal with stress or anxiety. But we all know deep down that smoking causes cancer and a host of other health issues. So it can bring on a whole new level of stress – the stress that comes from knowing we’re doing something that’s bad for us. It’s a little like eating a big piece of chocolate cake when we know we need to lose weight. It may fill a temporary craving, but we know we needed that piece of cake like we needed another hole in the head. I quit drinking two years ago, and with it, gave up the bonding experience I thought I was having with my friends. Of course, it turned out that some of these “friends” were no more than drinking buddies. 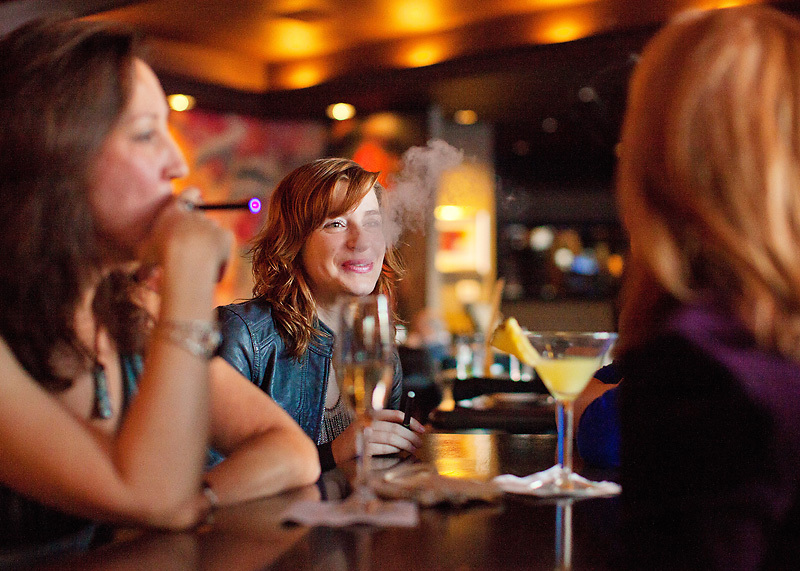 Vaping with our women friends gives us that bonding experience we crave. I also gave up the crutch I thought was helping me cope with the stress in my life from dealing with a bipolar boyfriend, depressed teenaged daughter, and the ups and downs from being self-employed. It’s very difficult to go from having a crutch such as smoking or drinking to nothing. That’s why vaping is such a Godsend. Vaping satisfied my oral cravings, helped me calm down and enjoy something guilt-free (I vape an e-cigarette with no nicotine). And it's become a fun bonding experience with my vaping girlfriends. I hope it can do the same for you. Thank you! I always try to write from the heart. Thank you for sharing it as well! !